26th September, 2018 An Emergency Medical Team (EMT) Country Preparedness Workshop commenced today at Tanoa International Dateline Hotel aimed in providing an opportunity for key country health and emergency services’ leaders to engage collectively and further strengthen the national capacity to respond to disaster emergencies and outbreaks including events that require the international emergencies teams. The Ministry of Health (MOH) in collaboration with the World Health Organization are conducting the three-days’ workshop. He said that the Pacific Island Countries and their territories are vulnerable to natural hazards and infectious outbreaks which can stretch normal health resources. These pose a major development challenge for the Pacific region and the environment. The Ministry of Health has created a steering committee to guide the development of a national EMT and public health rapid response teams, define operational mechanisms and capacity, and improve the mechanisms for identifying needs, requesting and coordinating international assistance using the EMT coordination framework. 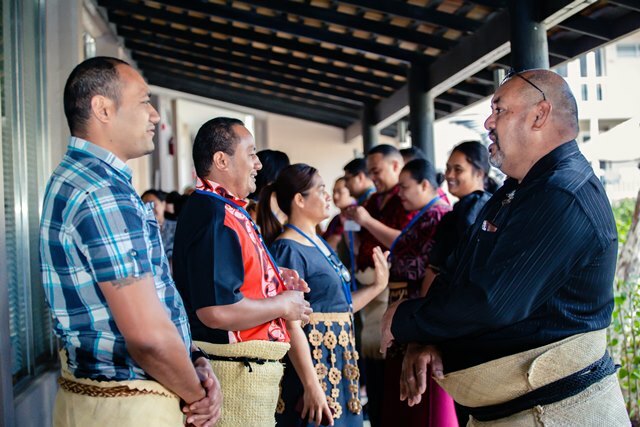 Dr Saafi urged participants to ensure that Tonga’s vulnerabilities are recognized, and mechanisms are in place for Tongans in need of emergency related health assistance to receive a safe, timely, effective, efficient and co-ordinated patient-centred care. The workshop is facilitated by WHO’s Project Leader Emergency Medical Teams, Dr Ian Norton.